What’s in a Real Estate Private Equity Case Study? What’s in a Real Estate Private Equity Case Study? Can you find anything online? But it’s still quite difficult to find information on certain topics, one of which is real estate private equity. You can find academic research, textbooks, and whitepapers from professors, but what about actual examples of RE PE case studies you could get in interviews? But I want to give away for free as much as humanly possible – especially when the information is hard to find elsewhere. So I’m going to share with you an example of a real estate private equity case study, the solution file, and the explanation for how you could finish this exercise on your own. One of my hobbies, aside from memorizing obscure Excel functions, is collecting case studies from readers and students. I find the most interesting ones, combine them, and then create new case studies with different locations and property types. Core or Core-Plus Cases: These are for “stabilized” properties – the occupancy rate is high (95%+ for multifamily properties in big cities), and the rent and expenses increase at predictable rates, in-line with inflation. “Core-Plus” means there might be an opportunity for a bit more upside through a minor renovation or other improvement. Value-Added Cases: These are for existing properties with “issues” – e.g., an office complex with a 70% occupancy rate when everything else is 85-90%, or a retail property with below-market rents. Your success or failure in the investment will be determined by how well you improve the property. Opportunistic Cases: These mostly refer to new developments, but could sometimes also refer to redevelopments or massive changes to existing properties – e.g., tearing down 75% of an office complex and replacing it with apartments. If it’s a new multifamily development, the apartment units are often pre-sold, which means the “exit” happens gradually over time. For example, differences emerge when you analyze multifamily properties vs. office complexes vs. retail vs. industrial vs. mixed-use vs. specialized properties. Office and retail properties often get more complex because each tenant’s lease might have different terms, in which case you’ll need to project the components of revenue on a lease-by-lease basis. With multifamily and hotel properties, by contrast, there’s no point in doing this because there are hundreds of tenants or guests with very similar terms. Core or Core-Plus Cases: The risk/return is lowest since the property already exists and you are barely changing it. You might target an 8-10% IRR, and the returns will come mostly from NOI growth and – hopefully – a slight Cap Rate decline over time. These cases tend to be market-focused since the financial modeling is simple. Value-Added Cases: The risk/return profile is higher, and you often target a 10-15% IRR. The returns will come from higher rents, more tenants, or a combination of both, along with a lower Cap Rate by the end. While market analysis is also important for these cases, the financial analysis tends to be more critical since the property is changing. Opportunistic Cases: The risk/return profile is highest here, and many funds in this space target a 15-20%+ IRR. The financial analysis can be the most complex in these cases, but that also depends on the property type. There’s a good overview of these different strategies and cases here. There are other categories as well. For example, you might have to analyze a potential debt investment or evaluate a senior loan vs. a mezzanine investment in the same property. I don’t want to turn this into a 20,000-word article, so we’re going to focus on the “core” category here. The “modeling complexity” referenced above depends on how granular the case study is. Tracking individual tenants makes everything more time-consuming and can make even a core or value-added case more difficult. There are also certain common exercises you’ll receive across many of these categories: the waterfall schedule (distributing different percentages of the returns to different investor groups depending on the overall IRR), debt and equity schedules, and so on. This Case Study: The Iron Bank of… Seattle? Faced with political turmoil and upheaval in Westeros, the Iron Bank of Braavos has opened a wormhole to an alternate dimension and set its sights on a more stable market: Seattle. Everyone works at Amazon or Microsoft (or sometimes a few other tech companies or Boeing), and people like outdoor activities during the 20% of the year when it’s not raining. It has also been one of the fastest-growing metropolitan areas of the US, with nearly 100 planned or permitted multifamily properties in a tiny area (as of the time of this case study). All of that is driven by strong fundamentals Amazon and Microsoft. The property described here, The Lyric, is a real apartment complex in the city. I changed around the numbers, the unit types, and other details, but it’s based on this real property. I actually considered living there once, but I don’t work at Amazon or Microsoft so they rejected me right away. If we’re targeting a 10% IRR, should we acquire The Lyric for $120 million, assuming a 70% LTV ratio, a 10-year holding period, 3% income and expense growth, and various numbers for CapEx, Tenant Improvements, and Leasing Commissions? Looking at that, you might be tempted to jump in and model each unit type separately. You could spend all your time on that and then follow the case study instructions at the end to a tee, inputting the numbers and percentages provided there. However, this would be exactly the *wrong* approach for this case study. Remember that this is a core, multifamily case study… the modeling is not supposed to be that complex or granular. There are 234 separate units in the building, so it’s a bit silly to plot out the monthly rents for each unit type separately. If this were an office with only 10-15 tenants, it would make more sense – especially if each of the leases had different terms. But here, the rents are so similar and each tenant contributes such a small percentage of the total revenue that you should simplify and use the average rent per square foot across all units. Then, you can spend all your extra time on the market analysis and figure out if the assumptions at the end actually make sense. In this case, those assumptions deserve to be challenged – taking them at face value would be a big mistake. In most real estate models, people rarely factor in market cycles. You’ll see 10-year models where people just assume that rent will increase by 3-4% per year over 10 years… but does that ever happen? Just like normal companies’ revenue growth and margins fluctuate over time, rent, expenses, and capital costs for properties will also change at different rates over time. As a result, we’re going to come up with our own assumptions to see what might happen if there is some type of downturn followed by a recovery. Immediate Market Decline, Recovery, and Stabilization – In this case, rental income and expenses will both decline over a few years as the vacancy rate rises. Tenant Improvements and Leasing Commissions will increase as the property owners must pay more to attract new tenants. Then, those trends will reverse and normal growth rates will be restored over 3-4 years, followed by a “stable” period thereafter. Continued High Growth, Decline, Recovery, and Stabilization – In this scenario, rents will continue to grow at a fast clip (5-6%) for a few years, but then a decline will begin, a recovery will follow, and the numbers will “stabilize” near the end of the holding period. It’s important to use scenarios rather than simple sensitivities or toggles here because the key assumptions are interrelated. 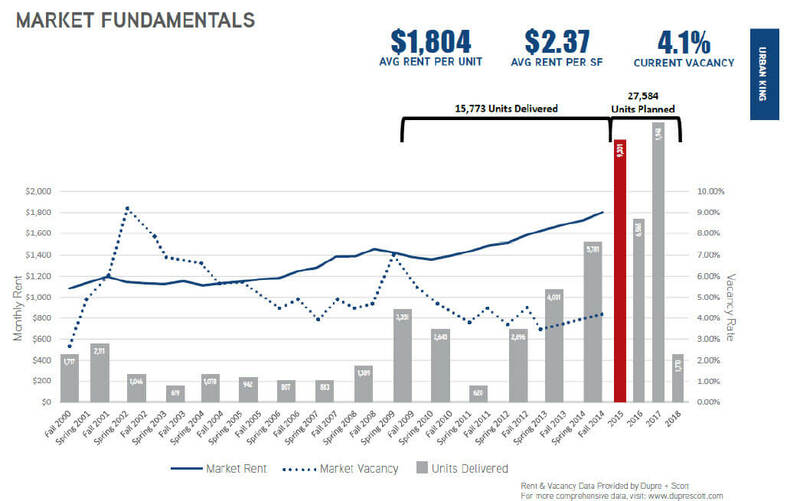 If rental income really falls by 10%, the vacancy rate will almost certainly rise and many of the other expenses will also rise due to a soft market. You can use sensitivities for the “non-interrelated” assumptions, like the LTV Ratio and the Cap Rate, but scenarios are better for operational items. This is a simple model, so I don’t have much to say about it. You always start with the “potential rental income” at the top of the Pro Forma, add other income sources, subtract income lost from vacancies and collection losses, and then show the operating expenses and maintenance CapEx. Then, you show the “capital costs” (CapEx, Tenant Improvements, and Leasing Commissions) since they impact the property’s debt repayment capacity but do not affect Net Operating Income. Since the debt is simple here, we are just using IPMT and PPMT for the calculations. We also calculate the interest coverage ratio and the debt service coverage ratio (DSCR) because we need to assess whether or not 70% leverage is appropriate; lenders often look for at least a 1.5x interest coverage ratio and a 1.2x DSCR in these types of deals. And then at the end, we calculate both leveraged and unleveraged IRR, the NPV under both methods, and we even run a simple DCF to value the property. The overall conclusion from all this analysis is that there’s no way we’ll earn a 10% IRR here. 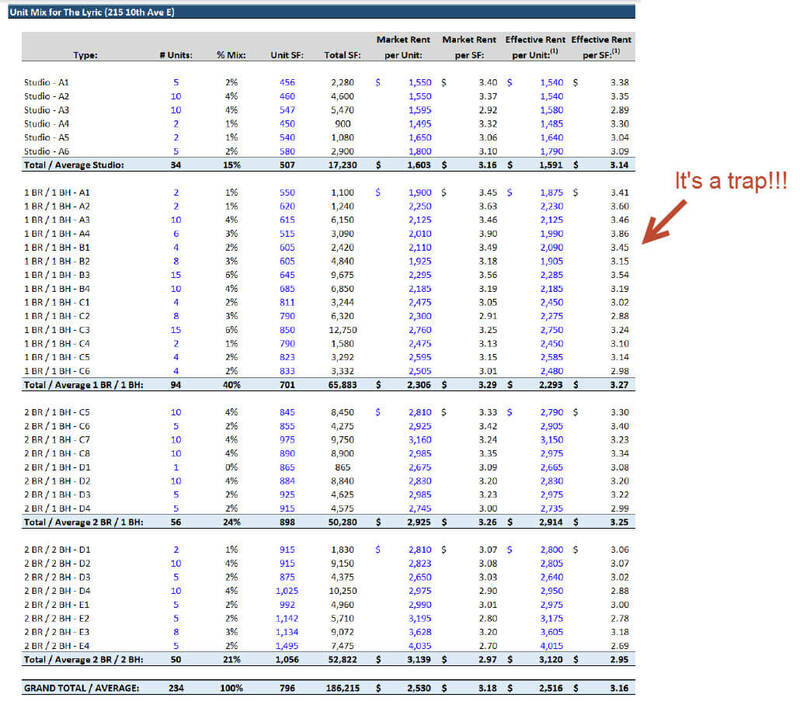 The leveraged IRR even in the Base Case is only around 6.5%, and it looks worse in all the other cases. 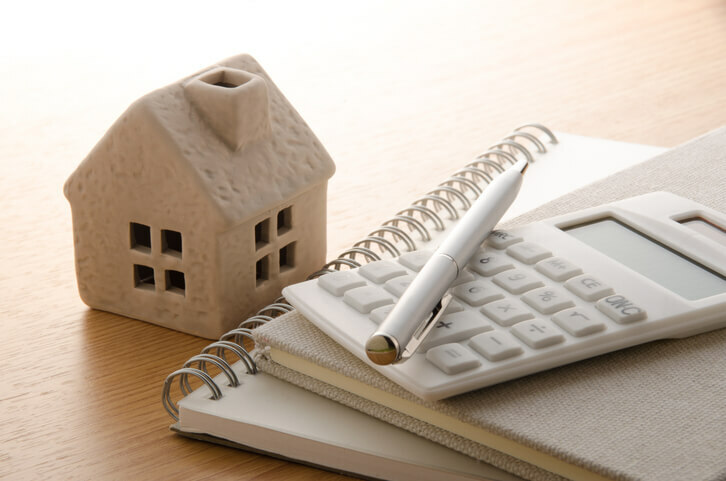 Cap Rates Are Unlikely to Fall Dramatically – All else being equal, the Exit Cap Rate will actually rise in this case because the property stays the same, but is now older and less appealing after 10 years have passed. That’s why the Going-In Cap Rate is 4.6%, but the Exit Cap Rate is 5.5% in the Base Case. In the other cases, the Cap Rate might decline due to the recovery, but the drop in NOI during the “decline” phase will offset much of that gain. The DCF also points to the property being overvalued at a $120 million asking price, and the sensitivities confirm everything: the Cap Rate would have to decline even in the Base Case for us to realize a 10% IRR. We mention all the reasons above, but we also point out how the DSCR falls below 1x in some of the more pessimistic cases – never a good sign for a “stabilized” property. Given that Cap Rates in the Seattle area have not fallen below 4.5% in the past 15 years, we think it’s implausible that they could drop even further over the next 5-10 years. And there is a LOT of competition in the form of new apartment buildings in the area. When you’re making a positive recommendation, you need to come up with risk factors and ways to mitigate them; in a negative recommendation, you do the opposite and point out why you might be wrong or what might cause you to change your mind. If rents grow at 6-7% for a few years and then decline to 3% growth, the numbers could work; the numbers might also work if the asking price were closer to $100 million instead. We do mention a few risk factors at the end if we had made a positive recommendation instead: the vacancy rate might rise to the 7-9% historical highs, Cap Rates might rise to the 6% level, or an oversupply of apartment units might push down rents. Mitigants might include longer-term contracts or more concessions for tenants, a mild renovation, or a reduction in operating expenses (unlikely, but you never know). This is the first of three sample real estate private equity case studies covered here; all of them come from our real estate financial modeling course. I heard that a lot of Real Estate property developer are using a software called ARGUS to relicate these financial Excel models. Not sure what is your recommendation to integrate these Financial models with ARGUS? They’re used for different things. ARGUS is helpful for office/industrial/retail properties where the lease expirations are lumpy and the lease terms are all quite different, and you want to model the impact of different renewal probabilities, lease expirations, etc. You then use the output of ARGUS in Excel to calculate debt service, the equity IRR, etc. Excel by itself is more common for hotels and multifamily properties where the lease terms or stays all have very similar terms and there are dozens or hundreds of rooms or units. There are so many units in those that granular, room-by-room modeling is pointless. An upcoming article will cover ARGUS vs. Excel. Long time reader and just digging into REPE. Looking at the Lyric CS model, may just be having a ‘moment’ but I’m not sure what you’ve done with the terminal value calculations (see below). It all makes sense except…*(1+Discount_Rate)^0.5. I’m totally missing the rationale for this? (full formula is below). It is just the mid-year convention… if you apply it to FCF in the forecast period, you must also apply it to Terminal Value when calculated with the Long-Term Growth method. 1. For the Rent PSF, how did you arrive at $3.1621512767499? Why not simply use the 3.16 given in the instructions? The 3.16 seems to match the 3.16 effective rent psf given in the rent comps. Is that a coincidence / why did we not use the 3.18 for gross rent psf as the vacancy / collection loss should account for concessions already baked in the 3.16? 2. Can the answers to the word questions in the PDF be found anywhere? The $3.16 in the document was rounded and based on some other calculations, which is why it’s slightly different in Excel. There are answers to the other questions in our Real Estate course. I can’t get the link to work to the Case documents. Any pointers? I don’t know, the files are hosted on Amazon. You should be able to click and download them. Flipping housing or complexes would come under the opportunistic side correct? Seeking 12-20% returns in that scenario. I started out in that area, now I’m on the value-add side strictly multifamily. 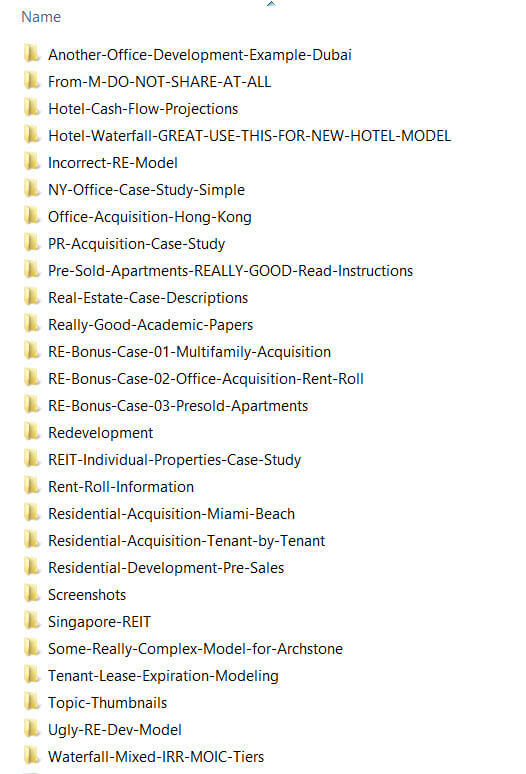 I have a project of 312 units I’m looking to do a case study on, it should be formatted in the following manner: market, tenant profile, improvements to asset and historical data are the focus in my cs, correct? No, not really. “Opportunistic” really means development or significant redevelopment/re-positioning. If you’re buying and selling houses that already exist, that is in the Core or Core-Plus category. We can’t comment on other case studies or materials from other sources, but I’m sure your formatting is fine. Do you have any models focusing on single family funds with leverage and waterfall? PV you use WACC and not Cost of Equity to discount. Since no debt should use Cost of Equity? No. The property is funded with 70% debt and 30% equity, and we’re using Unlevered FCF i.e. cash flow before interest and debt repayments, so we use WACC. Cost of Equity would make sense only if we used 100% Equity i.e. the LTV were 0% instead of 70%. May be a matter of definition. 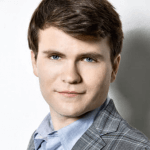 When you say unlevered does that not imply 100% equity? So FCF before debt service (unlevered FCF) use cost of equity. FCF after debt service (levered FCF) use WACC. Or maybe you are using WACC on unlevered FCF to adjust for leverage? Hi Brian, thanks for developing this, this is a really solid overview of the concepts. 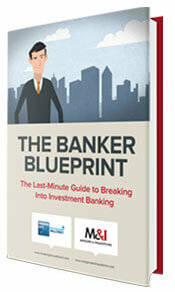 I currently work on the debt side of the RE industry but am looking to transition into equity, specifically REPE. I applied to a group and they have requested I build a timed equity return waterfall. My question: Do all three cases have instructions for different equity return waterfalls or just the one? Any tips? Thanks again. The second and third RE PE case studies both have returns waterfalls, and so does another case study in the full course (on an office development). They are all slightly different, though there are some common elements. Thanks for your well-informing tutorial. How do you calculate the WACC in this case and how do I generally derive the appropriate discount rate for a RE Valuation? The information was given in the case study document. WACC = Return Required by Equity Investors (given in the case study document) * (1 – LTV) + Cost of Debt * LTV. For development deals, you would have to use a different approach since the discount rate changes over time as construction progresses. Hi Brian — Thank you for making this available! Do you suppose you can render the ‘Residential Acquisition – Miami Beach’ case study available for download as well? It would be greatly appreciated! We cannot share that one because it has personally identifiable information. In general, we only share our own case studies rather than ones that have been submitted by readers. I am currently completing an internship at a Real Estate Development firm and have been looking for further internships/grad roles in Real Estate. I have been looking in London and haven’t been able to find much. Is this the case that not much opportunities exist within Real Estate for new grads? There are definitely roles for new grads if you have the right experience… in fact, real estate roles are one of the best ways to get into the industry without following the usual IB track. Hi all, I have a case study interview with a real estate developer (residential) and was wondering if anyone has any experience with this type of interview and any advice on what I should expect and things I need to watch out for while solving the case. Please see our other coverage of this topic… there are plenty of examples if you search for “real estate”. INDEX($G$88:$Q$104,ROWS($G$88:$Q$104),MATCH(F210,$G$88:$Q$88,0)+1), which references the FY 2016 NOI. Shouldn’t the cap rate be applied to FY 2015 NOI? No. The Cap Rate is based on the stabilized, forward NOI of the property. Hello. I am so glad I have stumbled across your website and this case study in particular. I am in the process of analysing the Seattle multi family resi market. The model and case study are very helpful. I noticed you had a lot of data on transactions such as exit cap rates in the excel sheets. Is that something you could calculate from publicly available data or do you need to have a paying subscription. If one does the real estate modelling course would that data be supplied in order to complete a model? Thank you for your help in advance. You can find some data online via simple Google searches. For other data, you’ll need a subscription to something like Real Capital Analytics (RCA). We don’t provide subscriptions in our courses because the price points are completely different – we can’t exactly give away a $50,000 / year subscription for free in a $347 course or we’d rapidly go bankrupt. However, I would argue that for most markets you can find 90% of what you need from simple Google searches… especially for developed markets with a lot of data. There are examples of the documents we use within the case studies in the Real Estate course. I’ve been approached by a capital raising/ private placement firm that raises capital for HF and PE firms that focus primarily on real estate PE firms. It seems interesting in the way of consistent interfacing with fund managers and institutional investors but there isn’t much detail on the industry or where the path leads. If you have some knowledge of the field, I’d really appreciate any feedback. Unfortunately we don’t have anything on that, but I’ll see if we can publish something on it in the future. Thank you for sharing and I will follow your website. Good work! Thanks for sharing! RE PE has always been one of those topics I’ve been interested in but haven’t found great/useful information on. You mentioned there would be additional parts of this series and I was just curious if you were still planning on releasing them. I am excited to dig in and read the next! Once again, thanks for sharing. Thanks. This was published 2 weeks ago, so the other parts are coming up later this year. This is completely irrelevant. I am a student studying Finance in Australia. I am going to spend about 1-2 months in New York at the beginning of 2016. What are my best shots at getting an unpaid internship? It depends on how much time you have to network in advance and what your previous work experience looks like. If you have highly relevant internships and at least 2-3 months to network, you have a good shot of winning an unpaid internship. If not, your chances are lower. Will the summaries of the next two cases be similar to this one? The burning question I have (which is probably covered in the course) is how to assign values to semi-qualitative factors like location desirability, other units on the market in the area, and how to exactly quantify those impacts. LA comes to mind where when you drive 5 miles you’re in another world. It seems like buildings with a lot of units just adjust prices based on current and past occupancy rates, but there has to be a more forward-looking way to accurately price given other data. I look forward to learning about that. Thanks for creating this content. By the way, the part about Seattle being hot “because of Amazon and Microsoft” was absolutely hilarious haha. Good article. Love the writing style as usual. Yeah, it’s hard to quantify some of those factors, but generally speaking it comes down to data for comparable sales in a very narrow region. Here, for example, Capitol Hill is so different from the rest of Seattle that it would make no sense to look at other areas in the comp sales. So the set we use is very, very specific. The other thing is that the Exit Cap Rate should really only change if the property itself becomes more valuable in some way, normally via a renovation or a higher occupancy rate… something like location desirability doesn’t change too much in the span of a few years in most cases. But if it did, then you could make an argument for a lower Cap Rate or a greater decline by the end. But a lot of it is arbitrary, which is why you have to look at data on peak-to-trough Cap Rates and sales per square meter or square foot, rental rates, etc. Lots of real estate investment firms actually skip everything else in the memo and only focus on the peak-to-trough data to assess the worst-case and best-case outcomes. Thanks for this article. I really enjoyed it! Can you tell me what the difference between REPE and property development is? e.g. a boutique that specializes in office-to-residential conversions. It kind of fits your description of opportunistic REPE deals but it is also something a developer would do. The main difference is that property developers are the ones actually doing the work. Even when a REPE firm pursues an “opportunistic” strategy, it is only contributing the capital and maybe setting the terms of the development and the planned exit strategy. But it then hires or works with outside developers to construct the property. The developer might contribute a minority of the capital required (~20%) but it is more responsible for the work itself rather than the funding.